The City of Detroit may impose limits on the number of licensed marijuana dispensaries it allows. City Councilmember Chris Tate has proposed a new ordinance that caps the number of cannabis dispensaries at 75. The proposal also gives the city authority to regulate businesses involved in cannabis cultivation, manufacturing, testing, and distribution. The measure also encourages potential owners of cannabis businesses to offer community benefits in their permit applications. Tate told local media that the new ordinance will allow medical marijuana patients and the city at large to coexist. Amir Makled is an attorney who represents medical marijuana dispensaries in Detroit. He believes that city officials should not establish arbitrary limits that can hinder the growth of the cannabis economy. Can Cannabis be the Economic Boost Detroit Needs? Makled also said that cannabis is a chance to revitalize Detroit’s depressed economy. But for that to happen, city officials must embrace the new opportunity. The new ordinance would also clarify “drug-free zones” and zoning and distance requirements for cannabis businesses. Earlier this year, Chief Judge Robert Colombo Jr. of the Wade County Circuit Court partially overturned Proposal A — which was approved by voters in November 2017, and would have allowed dispensaries within 500 feet of each other. It also allowed dispensaries to locate near liquor stores, child care centers, and other so-called sensitive use establishments. Judge Colombo also entirely struck down Proposal B, which voters also passed last year. That law established zoning regulations for pot businesses and permitted dispensaries and processors in all business and industrial districts. Detroit Corporation Counsel Lawrence Garcia said Tate’s proposal will guide the growth of the cannabis industry. © ThinkstockLegal sales of marijuana for recreational use began last July in Nevada and in January in California. Although California sells a lot more legal weed than Nevada, California sales are much lower than projected while Nevada's are much higher. First the good news. From July 2017 through March 2018 (the first nine months of Nevada's fiscal year), combined taxable sales of marijuana totaled $386 million, of which nearly $305 million represents sales for recreational use. Sales in March posted a record total of just over $41 million. 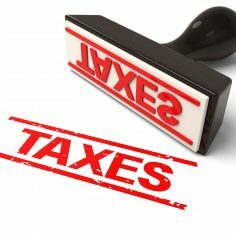 Through March, the state has collected almost $49 million in taxes, about 97% of its estimated full-year take of $50.32 million. The less-good news about recreational pot sales comes from California, where the latest projections based on sales to date estimate sales will be about half the original estimates. According cannabis industry analyst firm New Frontier Data, sales in California this year will total $1.9 billion, exactly half the original estimate of $3.8 billion. 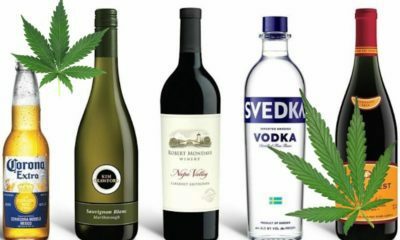 Giadha Aguirre De Carcer, CEO of New Frontier, told the Los Angeles Times that strict rules on growers, distributors, and retailers combined with low governmental authorization in California cities are to blame. Only about 30% of California's 540 cities have have so far permitted commercial cannabis activity. The effect has been to send consumers to the black market where they pay no taxes and illegal sellers easily undercut legal prices. 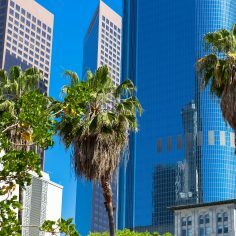 In February the Los Angeles Police Department shut down 8 illegal pot stores but the deputy chief told the Los Angeles times that another 200 to 300 illegal stores were still operating in the city. 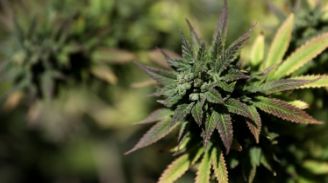 Marijuana tax collections in California totaled $33.6 million in the first quarter of 2018, virtually guaranteeing that the state would not reach its estimated 6-month total of $175 million in tax collections. California's estimated legal and illegal marijuana market totals around $7.8 billion. About $2.3 billion comes from sales of medical marijuana. If the legal market is only taking about $1.9 billion of the total, the rest ($3.6 billion) is going to the illegal market. And that illegal market is only for sales inside the state. California also exports (illegally, of course) tons of marijuana. State residents consumed about 2.5 million pounds of marijuana (most of it illegally) in 2016 and produced about 13.5 million pounds. Those 11 million pounds are sold, illegally, to out-of-state buyers.